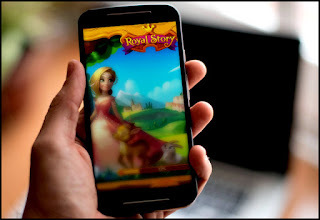 Although you may not play the game directly with this tool, it is designed to help those that can't be at the PC to play Royal Story. For example, if you are at school but want to send energy to your friends? The Royal Story Tool will allow you to do this and more! Collect various items from your Machines, Animals, Trees, Decorations as well as gather other rewards. Share achievements. The Royal Story Tool allows you to share your achievements with your Facebook friends. Daily Login Bonus. Use the Tool to login and get your Daily Login Bonus. Being out of town is no longer a problem and you won’t miss out on a rare daily bonus item! A notification in your device will remind you to log in. Logging in with your device can get you an extra Ruby Bonus! Send Gifts to your friends. Using the Royal Story Tool also opens up a few exclusive gifts that can only be sent from using it. Direct access to Inbox. A player will be able to receive all gifts your friends have sent and accept new neighbor requests in one or two simple taps. The Royal Story Tool is available for iPhone, iPad, iPad Mini and iPod Touch , and requires iOS 5.0 or newer. The developers are still working on the Android version. Hi Karen, (hugs) I feel the same. I don't think the few of us that were loyal to CVL will ever be able to be content with another game. I feel that it was far too unique. Although most players have either quit or moved on to FarmVille 2 Country Escape. I don't think it's the same thing. I hope you and your Alliance create fun, everlasting memories on the final day. A huge party sounds like a lot of fun.